If you are looking for the best gutter installation company in Placitas, New Mexico, or the surrounding area, turn to the experts at ABC Seamless of Albuquerque. We offer seamless steel rain gutters that are up to 30 percent wider than traditional aluminum gutters. This will help your system handle larger amounts of rainfall to prevent any damage to your home or roofline. And, because they are seamless, you will not have to worry about cracks, leaks, or breaks forming, as those are often issues that occur at the seams. What’s more, if you pair your new gutter system with our highly durable gutter guards you will be able to rest assured that there will never be blockages or breaks in your gutters. That is because our guards are able to keep out all unwanted debris such as leaves, twigs, and seeds while allowing water to flow freely far away from your home. 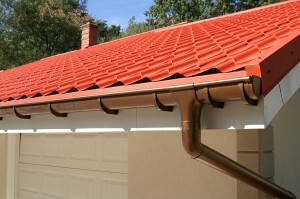 For more information about what makes us the best gutter installation company in Placitas, NM, and the surrounding areas, contact ABC Seamless of Albuquerque today. One of our highly trained and helpful team members will happily answer any questions you may have about our products and services.